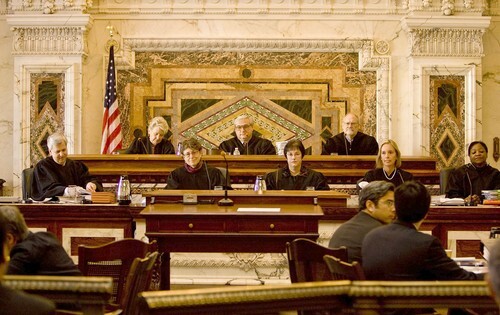 On August 29 the Federal 9th Circuit Court of Appeals handed down a decision that upheld the law banning Sexual Orientation Change Effort (SOCE) therapy for minors in California. You can read the full-text by clicking here. 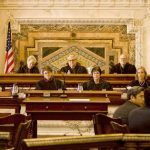 At the crux of the Court’s opinion , they decided that SOCE is subject to rational basis review, which means that the law will not be overturned on constitutional grounds if the legislature enacted it for any good reason. If a standard of rational basis review is applied, the Court will provide no constitutional protection for the issue at hand as it is always possible to find some reason, no matter how small or controversial, for a law to be enacted. (1) doctor-patient communications about medical treatment receive substantial First Amendment protection, but the government has more leeway to regulate the conduct necessary to administering treatment itself; (2) psychotherapists are not entitled to special First Amendment protection merely because the mechanism used to deliver mental health treatment is the spoken word; and (3) nevertheless, communication that occurs during psychotherapy does receive some constitutional protection, but it is not immune from regulation. On one end of the continuum, doctors and therapists are free to express their views outside of their office as members of the general public, away from their relationship with patients and clients. At one end of the continuum, where a professional is engaged in a public dialogue, First Amendment protection is at its greatest . Thus, for example a doctor who publicly advocates a treatment that the medical establishment considers outside the mainstream, or even dangerous, is entitled to robust protection under the First Amendment – just as any person is – even though the state has the power to regulate . . . thus, outside the doctor-patient relationship, doctors are constitutionally equivalent to soapbox orators and pamphleteers, and their speech receives robust protection under the First Amendment (pp. 20-21). Doctors are routinely held liable for giving negligent medical advice to their patients, without serious suggestion that the First Amendment protects their right to give advice that is not consistent with the accepted standard of care. A doctor “may not counsel a patient to rely on quack medicine. The First Amendment would not prohibit the doctor’s loss of license for doing so. . . . the state’s obligation and power to protect its citizens by regulation of the professional conduct of its health practitioners is well settled. . . . [T]he First Amendment . . . does not insulate the verbal charlatan from responsibility for his conduct; nor does it impede the State in the proper exercise of its regulatory functions . . . thus, the First Amendment tolerates a substantial amount of speech regulation within the professional-client relationship that it would not tolerate outside of it. And that toleration makes sense: When professionals, by means of their state-issued licenses, form relationships with clients, the purpose of those relationships is to advance the welfare of the clients, rather than to contribute to public debate (pp. 22-23). At the other end of the continuum, and where we conclude that SB 1172 lands, is the regulation of professional conduct, where the state’s power is great, even though such regulation may have an incidental effect on speech. Most, if not all, medical treatment requires speech, but that fact does not give rise to a First Amendment claim when the state bans a particular treatment. When a drug is banned, for example, a doctor who treats patients with that drug does not have a First Amendment right to speak the words necessary to provide or administer the banned drug (pg. 23). Without a doubt, protecting the well-being of minors is a legitimate state interest. And we need not decide whether SOCE actually causes “serious harms”; it is enough that it could “reasonably be conceived to be true by the governmental decision-maker. The legislature relied on the report of the Task Force of the American Psychological Association, which concluded that SOCE has not been demonstrated to be effective and that there have been anecdotal reports of harm, including depression, suicidal thoughts or actions, and substance abuse. The legislature also relied on the opinions of many other professional organizations. Each of those organizations opposed the use of SOCE, concluding, among other things, that homosexuality is not an illness and does not require treatment (American School Counselor Association), SOCE therapy can provoke guilt and anxiety (American Academy of Pediatrics), it may be harmful (National Association of Social Workers), and it may contribute to an enduring sense of stigma and self-criticism (American Psychoanalytic Association). Although the legislature also had before it some evidence that SOCE is safe and effective, the overwhelming consensus was that SOCE was harmful and ineffective. On this record, we have no trouble concluding that the legislature acted rationally by relying on that consensus (pp. 26-27). There you go. Essentially, the Court can decide that the medical and psychological establishment’s opinion is sufficient, even if that opinion is not based on scientific research. As I have argued in New Jersey and Liberty Counsel in California, there is not one research study published that documents any outcomes for adolescents undergoing SOCE. Thus, it is clear now that the erosion of political correctness, not scientific evidence, can be justification for banning a particular form of treatment. One has to ask the question, is the Court not supposed be the final arbiter of laws that have been enacted unjustly? Or has the court succumbed, just as the elected body of officials in California, to popular opinion and not sound science? This entry was posted in Uncategorized on 2013-09-02 by VoV Contributor.